Learning to produce what will sell is an essential skill for vegetable growers. The VINESA project fosters entrepreneurship among young farmers. AVRDC – Eastern and Southern Africa’s peri-urban horticulture initiative (VINESA) continues to gather momentum. Two rounds of Training of Trainers took place in February 2014, with Value Chain Thinking consultant Benjamin Dent taking nearly 40 people through the three-day course in Malawi and Mozambique. “We want to equip our young male and female farmers with the foundations of adopting more market-orientated perspectives,” said Dr. Dent. “Rather than the mentality of ‘I will sell what I produce’ common in supply chains, these new trainers will be helping smallholder farmers at the hubs to realize the higher incomes available from the mentality of ‘I will produce what I can sell’ — the hallmark of value chain strategy.” VINESA involves setting up best practice hubs in four countries to bring together training, crop trials and experimentation. Understanding what influences consumers’ purchasing behavior with a more collaborative approach across the value chain means relationships are stable and stronger, because people along the chain want to work together as preferred suppliers and customers. In Mozambique, the leading country partner is the Mozambique Institute of Agricultural Research (IIAM). They have been working with the farming community on how to grow and market vegetables to satisfy the needs and wants of consumers in Moamba, about two hours from the capital, Maputo. Carvalho Ecole from IIAM said the community has agreed on the initial site for the hub, and plans are to gradually expand to three sites by the third year of the project. The first group of local young people, mostly from the nearby Moamba Technical School and Boane Agricultural College, will be trained in production, postharvest handling and processing within a Value Chain Thinking framework. In Tanzania, the land for the hub is already being prepared. 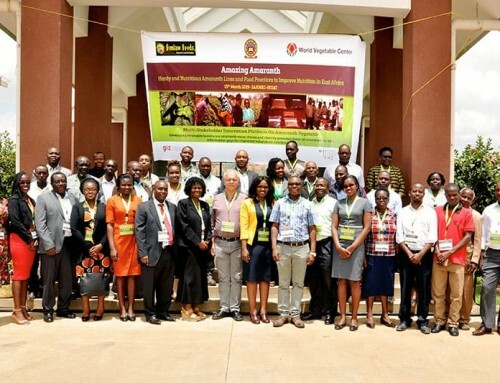 VINESA Project Manager John Macharia, based at AVRDC Eastern and Southern Africa in Arusha, noted the first round of training for the fourth participating country, Ethiopia, will take place in April. “Having put all the governance and operational structures in place first, it is exciting to see the project taking practical shape on the ground,” said John. The VINESA project is funded by the Australian International Food Security Research Centre (AIFSRC) and Australian Centre for International Agricultural Research (ACIAR) and runs until July 2017.